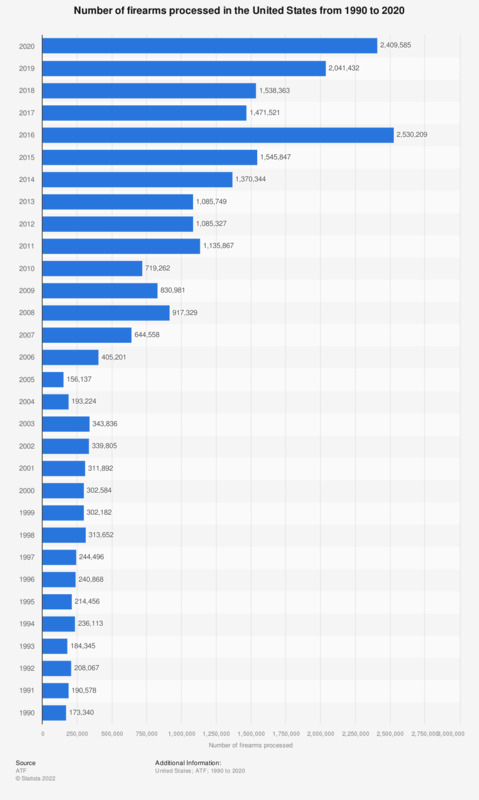 This statistic shows the number of firearms processed in the U.S. from 1990 to 2017. In 2017, total 1,471,521 firearms were processed in the U.S. Totals do not include ATF Form 5320.20 or ATF Form 10 because these do not relate to commercial transactions.